Nothing is known about the fate of one of the most mysterious woman in history... until now. Accused of adultery, her life about to end, this woman was saved from a brutal death by ten words written in the sand at her feet. Overwhelmed by her experience she collected every grain of sand that was touched and sent it on a journey through history. The power infused within the sand affects the course of human events until coming to rest at the hands of our two protagonists at the precipice of World War III. 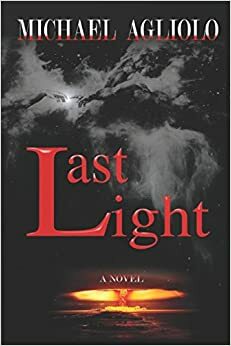 ‘LAST LIGHT’ is the first and only novel that explores the concept that this 'sand' was infused with a message that goes beyond the words. From the conversion of Paul and the enlightenment of Constantine, to the visions of Joan of Arc and the miracle at Fatima, the message imbedded in this sand will bring the reader across the ages into the secrets of the Sistine Chapel and the power of today’s technological world on the brink of Armageddon. Our protagonists, photographer Matt Reese and high fashion model Elaine Gardner, experience this phenomenon during a photo assignment in Egypt that questions their commitment to their high-powered careers. As they follow the mystery their lives and all of mankind's are at stake.